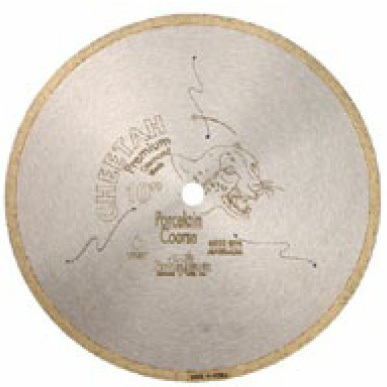 Cheetah Blades are designed to quickly cut porcelain, marble, granite and glass with a great degree of precision thanks to its slender profile and uniquely formulated diamond rim. With the addition of a noise reducing steel core, the Cheetah is also one of the quietest blades in the industry. Due to its incredible performance and ability to produce clean, chip-free cuts, the Cheetah is an excellent choice for a variety of applications. 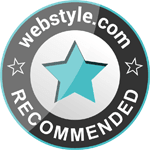 Spider blades deliver fast, chip-free cutting of porcelain and vitreous, hard tile. The slender continuous rim ensures smooth cuts, while small slots provide stress relief for the blade. The Prolong Series Specialty Continuous Rim Blades are designed to quickly cut granite, porcelain tile and various other materials with minimal chipping due to its special bonding system and high tension steel core. 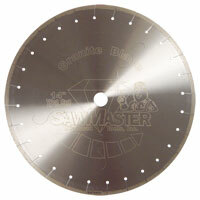 The extra high rims extends the life of the blade, thus yielding a lower cost-per-cut. Prolong blades are designed to quickly cut porcelain, granite and other materials with minimal chipping due to its specially formulated diamond rim and rigid steel core. These blades are suitable for dry cutting on handheld saws. 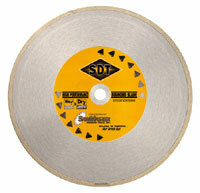 The SN Series Specialty Wet Granite/Stone Blades are intended for use on large stone and masonry saws. 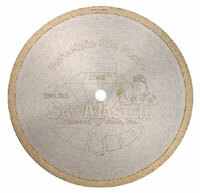 Its hybrid segmented-countinuous rim design allows it to achieve fast cuts with minimal chipping. In addition, it also increases cooling efficiency for better thermal protection. 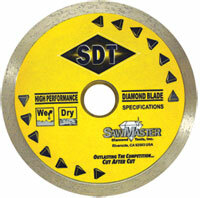 The CR Series Wet Continuous Rim Diamond Blades are one of the best in the industry and very cost effective. The blades are best used for cutting tile, brick, and other natural stone. The aid of water cooling is critical to reduce dust and extend the life of the blade. 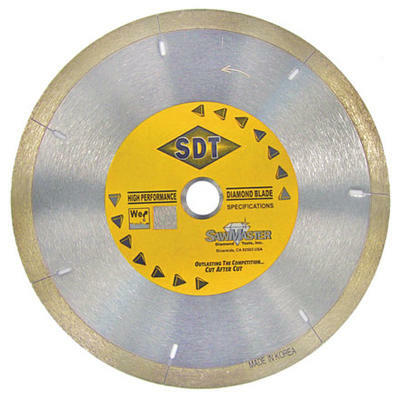 The CR Series Dry Continuous Rim Diamond Blades are designed to cut tile, stone, and other vitreous materials without the need for water cooling. The lack of water requirement makes the saws that utilize these blades extremely portable—ideal for quick and convenient applications.